In his first major TV interview since he was released from jail former Defense Minister Akis Tsochatzopoulos came out in support for SYRIZA. Tsochatzopoulos a former prominent cabinet member in the Panhellenic Socialist Movement (PASOK) governments was charged of receiving about 54 million euros in illegal bribes and sentenced to 20 years in prison in 2013. He was released from prison on in early May on account of ill health. Mr. Tsochatzopoulos described the Greek political system as “fuzzy,” saying that no political party can inspire the citizens. He added that SYRIZA is closer to his leftist ideals than any other political party. “If there is no alternative, what else can you vote for?” he said. Tsochatzopoulos served as defense minister in 1996-2001. In 2010 authorities started investigations on his spending and the origin of his assets. He was accused of multi-millions in kickback scandals, such as the bribery case of the Ferrostaal submarine company. Overall he was accused of receiving exorbitant briberies in armament purchases for the Greek Armed Forces. He was also among the large number of Greek politicians who were bribed by German giant Siemens. On April 11, 2011, amidst scandal accusations, he was kicked out of PASOK. In May that year he was investigated by the financial crime unit (SDOE) of the Greek tax office. In January 2012 he was called by the prosecutor for declaring false assets. In April that year he was arrested for tax evasion and money laundering. He was found to have hidden millions in assets and money-laundering through three offshore companies. On October 7, 2013, after a long trial, he was charged of receiving about 54 million euros in illegal bribes and was sentenced to 20 years in prison. His wife, Stamati, and 17 of his accomplices were also sentenced to serve time. 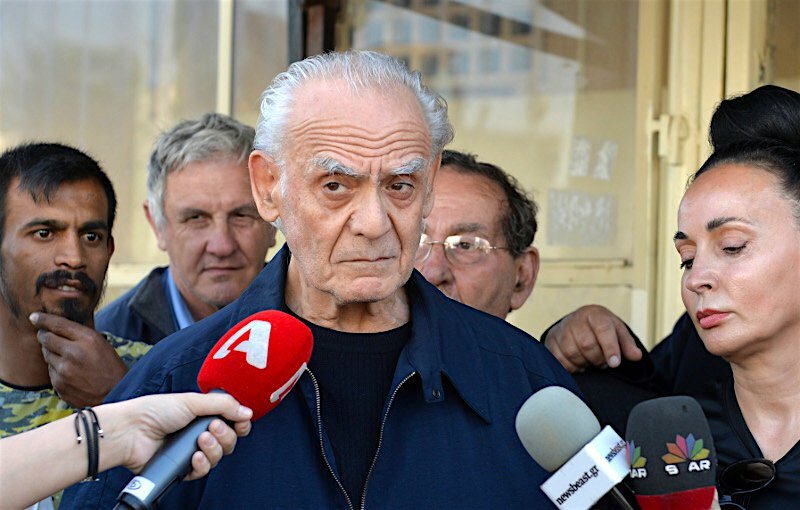 In October 2016, Tsochatzopoulos started a series of appeals due to his health problems. In April he underwent heart surgery.